Obituary – Dolezal, Henry « Perry High School Alumni Association, Inc.
﻿Former associate district judge Henry Dolezal, 78, died at 8:20 p.m. Sunday at Perry Nursing home, where he had resided since Sept. 20. 1982. Funeral will be at 2 p.m. Wednesday at the First Presbyterian church. Rev. Jon Neuhs will officiate. All offices of the Noble county courthouse will be closed from 1-3 p.m. Wednesday. Dolezal was born on a farm six miles north of Perry, Jan. 11, 1905. He attended rural Noble county schools and received his bachelor of arts degree from the University of Oklahoma in 1926. He received his law degree in 1933 from OU. Dolezal received one year of legal training at the University of Chicago. He began his law practice in Perry in August, 1933. He served as Noble county attorney from 1935-36 and had served as Perry’s city attorney. He served as county judge for Noble county from 1938-1941, when he entered the U.S. Army. He served in the European Theatre and was assigned special duties as counsel for soldiers facing military court marshal. He was a major when he was discharged in 1946. He was elected Perry mayor in 1947 and held that post until 1949. 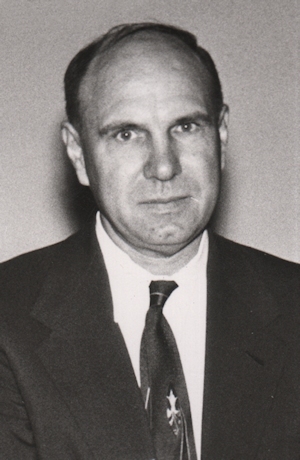 He was elected Perry’s mayor again in 1951, serving until 1956, when he resigned to become state representative from Noble county, a position he held for eight years. Dolezal served as associate district judge for six years. Following his retirement from politics, he continued his farming operations in Noble county. 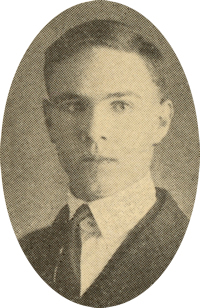 Dolezal was a member of Ellis-Jirous American Legion post, the Veterans of Foreign Wars, the Perry Rotary club, the First Presbyterian church, where he served as Sunday school teacher, member of the board of trustees and member of the board of elders; a member of the Perry Knights of Pythias lodge and had been active in Boy Scout work, having served two years as Scoutmaster. He served from September, 1940 to April, 1941 as chairman of the Noble county registrants advisory committee upon the request of the governor of Oklahoma. Among survivors are a sister, Mildred Schirrmacher, Washington, D.C., and a number of nephews.